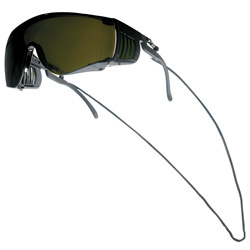 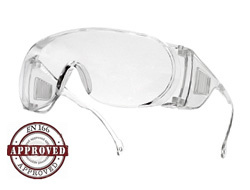 Cover or over Spectacles are a low cost and often disposable alternative the more expensive safety glasses. 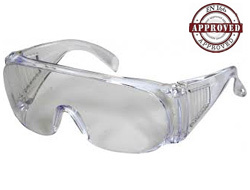 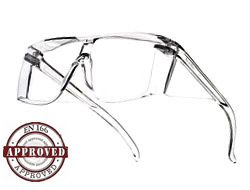 They are also often refereed to as Visitor Glasses since they are ideal for guests to a factory or construction site where eye protection is mandatory and fit over the top of regular prescription glasses. 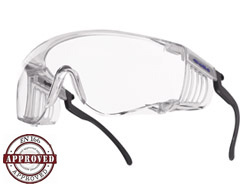 They all meet the same European safety standard (EN 166) and provide excellent side protection.